So a couple weeks ago I bought this Vortex cooker for my Kettle Grill. 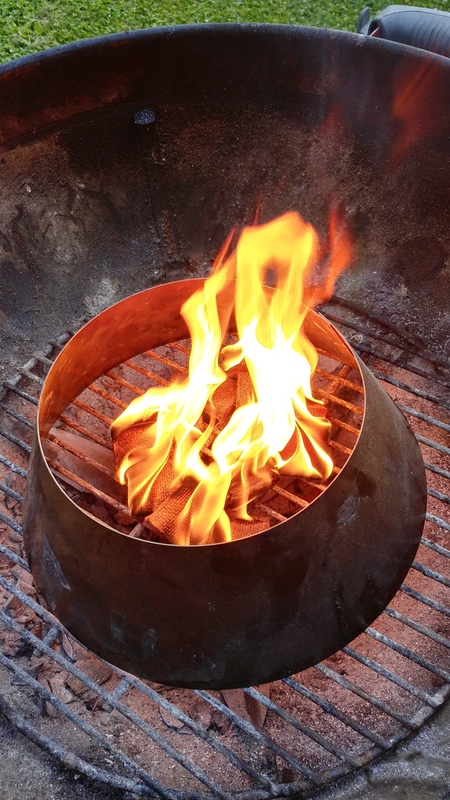 It is just a cone shaped metal funnel that you place on your bottom rack of your grill and throw your coals in. The idea is that it funnels all the heat through the cone and disperses it evenly around the outer perimeter of the grill. Pretty neat idea. So I start by throwing some camp fire starters onto the rack inside the cone and light them. Once they are burning, I throw my lump charcoal in on top of it. Give it about 20 / 30 minutes and it will be good to go. 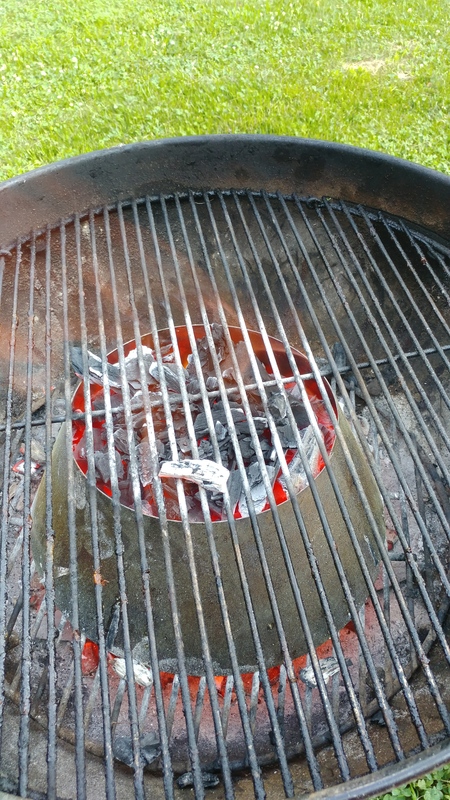 Once the flames come out the top and you are pretty much set. Throw the top rack back on and let it heat up a little bit. 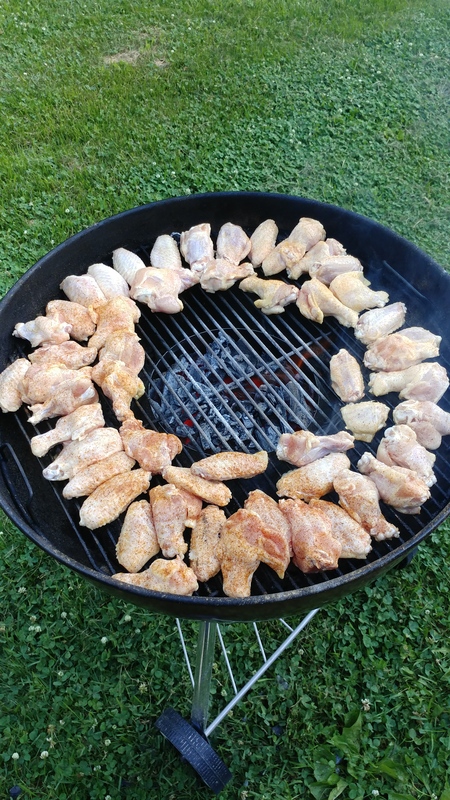 I then lined up all my wings pretty tightly around the outside ring and put the lid on. 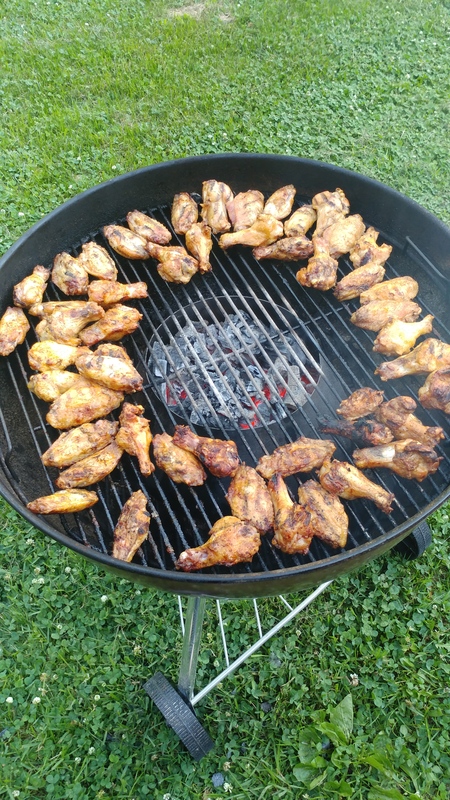 After about 12 minutes, I went out and flipped them all and seasoned the other side. I put the lid back on and gave it another 12 to 15 minutes. I came back out and the wings were beautiful. Nice and crispy, good BBQ flavor. Pretty bitchin! Can’t wait to use it again. 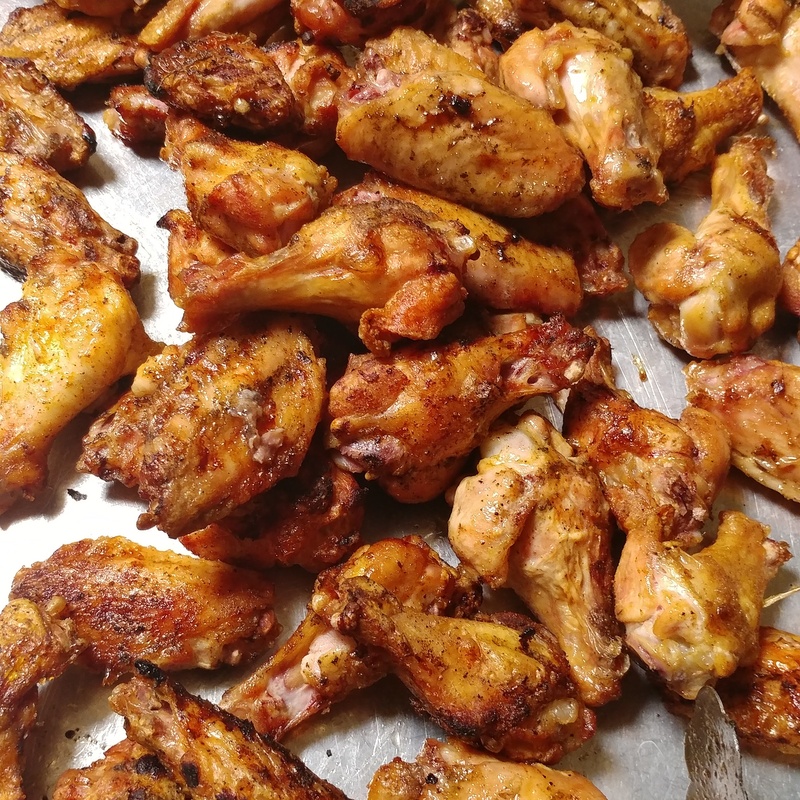 If you like Chicken wings on the grill, this is must have for your BBQ collection. I would for sure invest in one! Such a amazingly simple and functional idea! Mouthwatering chicken. What more can I say?